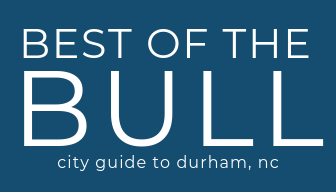 Valentine’s Day weekend in Durham is packed with great things to do and special dinners for couples and galentine’s day celebrations alike. Check out these events happening plus our guides to date night ideas for free and $25 and under. Hayti Heritage Film Festival- The Hayti Heritage Film Festival in Durham, NC is a signature event each year to keep Southern Black film alive. New and veteran artists screen films before a diverse crowd of film enthusiasts while vendors provide great food, beverages, arts and crafts. Galentines Day! Waffles & Breakfast Beers for All!- Come kick it breakfast style at Glass Jug for Galentine’s Day and a celebration of all things Parks and Rec! An Intimate Night With Zweli’s “Valentine’s Day Cooking Class-Set the standard with an intimate evening of fun and food, creating your own dinner experience with Chef Zwe. Enjoy engaging conversation, worldly cuisines, and the aromas of Zweli’s Flavors. Tinkering & Drinkering @Motorco- Join the Museum of Life and Science at Motorco for another awesome Tinkering & Drinkering! Activities can include: circuits using conductive LEGOs, KEVA blocks, one-of-a-kind cooperative video game, needle felting (in case you’re feeling stabby), perler beads, leather working, or shrinky dinks. Love at First Spice- Turn up the heat this Valentine’s Day at Fullsteam’s hot sauce & salsa White Elephant followed by an especially spicy edition of Love at First Pint! Valentine’s Eve Flight Night at The Parlour- This year’s theme is inspiration from the Victorian language of flowers. No tickets necessary, just come on in between 6 and 10 p.m. Vegan option available. Valentine’s Day Wine Tasting at Bar Brunello- On this day we will celebrate our love for wine! You’ll will learn about the winemakers’ passion and love for their grapes from the moment they bud on the vine until the moment they’re poured in the glass. Guests will taste five different wines, including white, red and sparkling. Valentine’s Day Double Feature at Ponysaurus- Join Ponysaurus under the warm heaters on the patio for TWO of our favorite romcoms- When Harry Met Sally and The Wedding Singer! There will hot mulled wine, 2 pack of s’mores, Soomsoom Pita Pockets, $1 snacks, and beer! Nash Street Ramblers Valentine’s Dance at Bluenote Grill- Calling all dancers, sweethearts, and bbq-lovers. Expect great swing, two-step, waltz, blues, and other highly danceable tunes. Champagne & Dessert Tasting with Moet Hennessy at Unscripted- Celebrate Valentine’s Day at Unscripted Durham with a selection of Moët Hennessy’s delightfully sparkling Champagnes paired with sweet delicacies from Chef Oscar Gnapi. Tickets are $49 each. Third Friday- Gallery crawl with live music and other performances. Maps available at the Visitor Info Center and at each participating location. Couples’ Valentine’s Day Dinner with Durham Spirits Co.- What better way to celebrate Valentine’s day than cooking with the one you love? You’ll prepare a romantic meal that is sure to make you fall in love all over again! This class is $125/couple. Distillery Tour at Bedlam Vodka- Graybeard Distillery, home to Bedlam Vodka, has opened its doors for Distillery Tours. Spirit lovers and novices alike will experience a 60-min tour of the distillery and tasting room for just $15 per person. For even more date ideas check out some of our guides below.